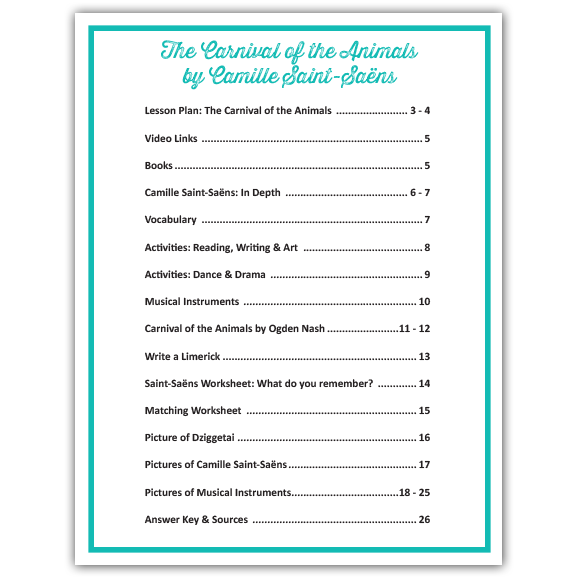 Stephanie Skolmoski has created a musical lesson plan about the the composer Camille Saint-Saëns and his famous Carnival of the Animals suite. 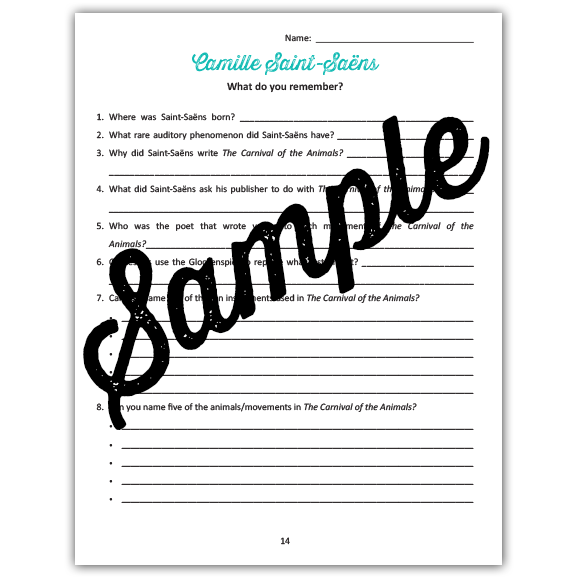 This would be an ideal addition to a unit on animals – specifically the lion, hens, roosters, tortoises, elephants, kangaroos, donkeys, birds, fossils, dinosaurs and swans. This is the perfect lesson and activity for elementary school children and teachers. 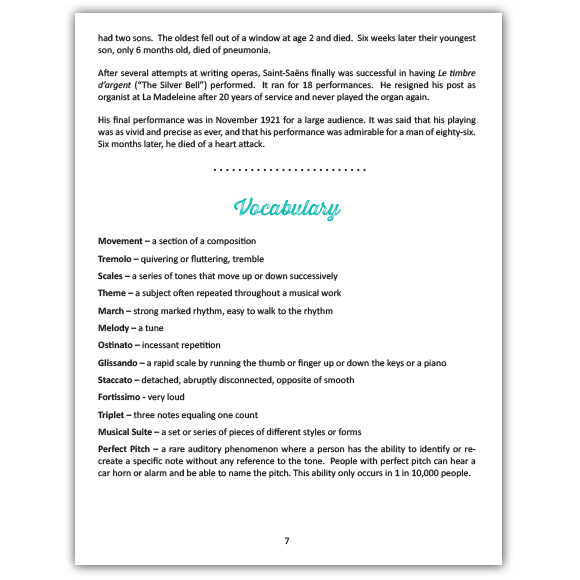 The the entire suite is about 25 minutes long (the movements are 2-3 minutes each) and the lesson could take about 45+ minutes. Depending on the activity or activities you choose they could take 15 minutes to several days to complete. 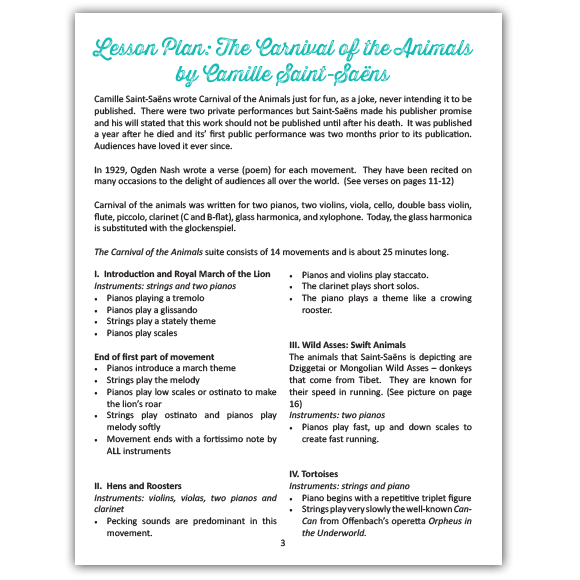 You can see an example of one of Stephanie’s lesson plans on Stephanie Skolmoski’s blog or click here to download a sample of The Carnival of the Animals by Camille Saint-Saëns Musical Lesson Plan.